Pain on the top of your foot? Find out what it could be and your treatment options. I Have Pain On The Top Of My Foot – What Can It Be? Pain on the top of the foot is aggravating and sometimes difficult to diagnose. If you experience trauma to the area, or remember injuring your foot, then there is an explanation for it. You should still come in and see our doctors for Xrays (radiographs) performed in the office, and we will review the results and come up with a plan. However in the absence of any trauma, why would the top of the foot hurt? It could be a tendinitis, or inflammation of the tendon, specifically the extensor tendon. The extensor tendons are the tendons that run across the top of your foot. The muscle belly is located at the front part of your lower leg, along the anterior (front) part of the leg (think the shin area) and the tendons extend down towards your toes. The tendons insert into each toe; it’s the tendons you can see if you flex and extend your toes. (Think of where your shoelaces are crossing back and forth, where the tounge of the shoe lies.) If you have pain there along the top of the foot just before your toes, you may have extensor tendinitis. The extensor tendon is responsible for lifting up your entire foot in gait, (along with other muscles) in order for your foot to clear the ground. What Are Some Of The Symptoms Of Extensor Tendinitis? Patients describe an aching pain on the top of the foot, aggravated with shoe gear or shoe laces touching the top of the foot. There may be some swelling that comes and goes related to activity; for example with more walking or running, there is more pain on the top of the foot, and then with rest and elevation, the pain and swelling may go away. As you palpate (press on) the top of the foot with your fingers, you might also elicit pain. Another easy test to check is if you hold your foot and press down on the toes, and try to push up against your hand. If this elicits pain on the top of the foot as the toes push up against your hand, then this may be extensor tendinitis. What Causes Extensor Tendinitis In My Foot? Extensor Tendinitis can be caused by many factors. It is usually progressive after repetitive activity. -Tight shoe laces – Sometimes shoes that are too tight in the area of the extensor tendon can cause irritation and swelling. Loosening up the shoe along the tongue of the shoe. There are also alternative ways to lace the gym shoe, and our staff at the office often helps patients with alternative lacing techniques. 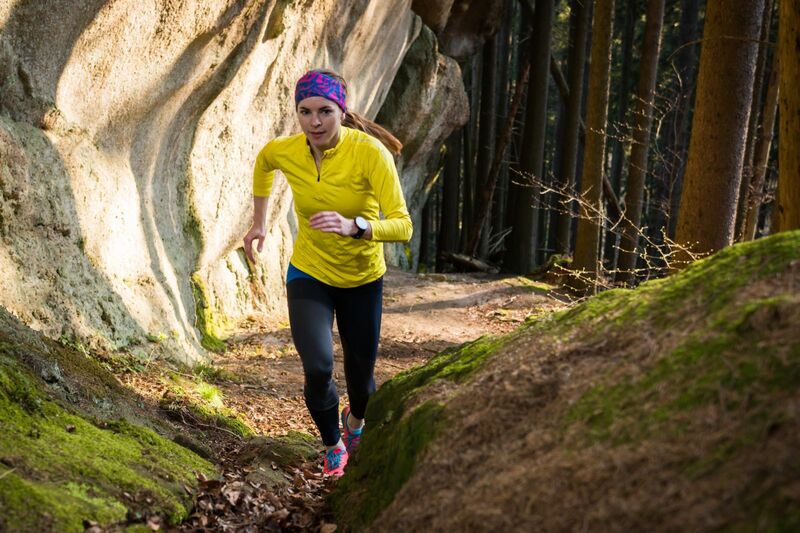 -Overtraining – doing too much too soon can aggravate your foot. This is why it is important to follow a training program that follows a slow but steady progression. Often times when incorporating hills, the dorsiflexion of the foot (the act of pulling your toes up) over and over again can overwork and aggravate the extensor tendons. Follow a training program that is tried and true, or incorporate hills very slowly into your workout if your are not accustomed to hills. -Lack of arch support – When there is not enough arch support in your shoe, then the foot pronates (flattens out) with every step. The extensor tendons have to work that much harder to dorsiflex (pull the toes and foot up) in gait. It may not seem like a big deal, but this repetitive motion causes overuse of the tendon, and this results in aggravation and inflammation at the top of the foot. That is why it is important to always have shoes with a good arch support, and if there is a lack of arch support, then custom orthotics may be needed to support the foot. How Do I Treat Extensor Tendinitis? If your foot is painful and swollen, you can start by icing the area to bring the inflammation down. It is important to time the icing so that it is no more than 10-15 mins on per hour, and to make sure not to keep the ice directly on the skin for too long or it can cause more harm than good. For more icing instructions, see our icing instructions here. If the pain does not resolve or it and returns after activity, then it is time to see our doctors at Prairie Path Foot and Ankle. First, our doctors with perform a thorough exam including a history of activity. In addition, we will take radiographs (X-rays) digitally and review them in the room with the patient. The treatment plan usually consists of some sort of compression and/or immobilization with either an unnas wrap (soft cast, removed after a few days) or a compression ankle brace, or even a CAM walker/walking boot if the pain is severe. 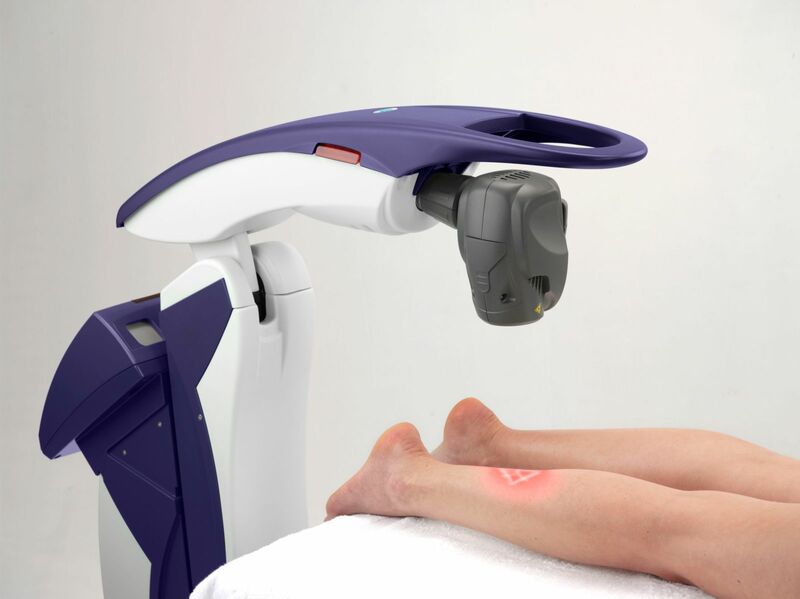 The doctor will discuss several methods of decreasing inflammation, including our MLS laser. Our Laser is non-painful, has no noted side effects, and works to decrease pain and edema (swelling) in the first few sessions to get you out of pain. In addition, the doctors may review the use of oral anti inflammatories or topical medications. Once the pain has subsided, our doctors will work with you to prevent the pain from returning. This may be something as simple as counseling on proper shoe gear, tweaking a training plan, and addressing the biomechanical abnormalities that caused the pain in the first place with custom orthotics. In addition to one or all of these treatment options, your doctor may prescribe physical therapy at an outside facility. Our doctors work with some of the best physical therapy practitioners in the area that will help you get moving and stay moving. These physical therapy sessions are additive, and they keep in close communication with our doctors to monitor your progress. All of these options are discussed in the treatment plan that is tailored to fit your situation. If It Isn’t Extensor Tendinitis, What Else Could It Be? 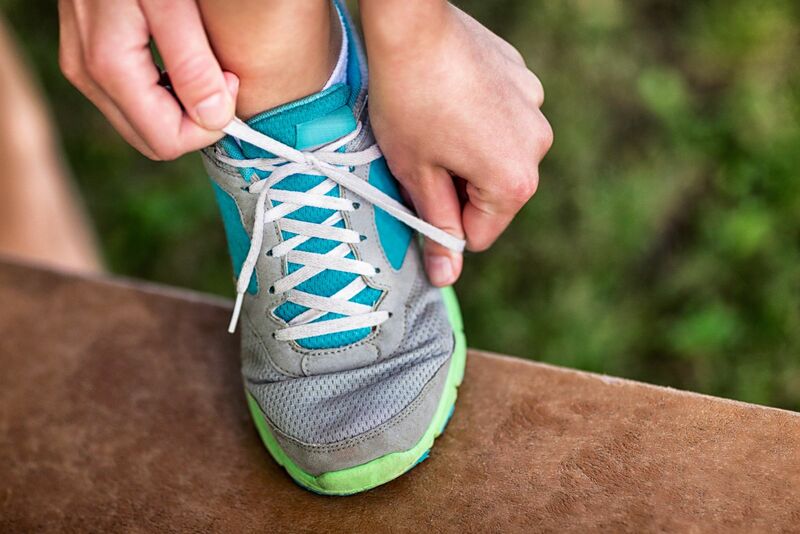 It is important to see one of our doctors here at Prairie Path Foot and Ankle Clinic to determine the correct diagnosis, because that is the only way to make sure the treatment fits the situation. Pain in the midfoot could be a stress fracture of the metatarsal (one of the long bones of the foot) or a fracture of one of the other bones in the foot (including the sesamoids, at the ball of the foot below the big toe joint), it could be a neuroma or nerve pain/neuritis, or even an infection or other inflammatory process that needs attention. 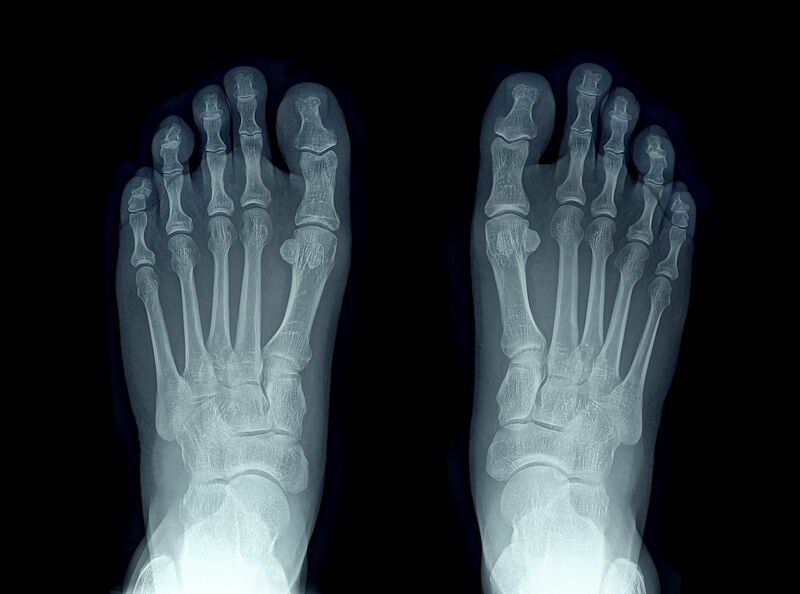 It is best to have your foot examined before the condition worsens. Remember, pain is not normal! And sometimes you won’t be able to walk it off or run it off. The bottom line is – don’t wait too long if you have foot pain. If the few suggestions mentioned above for self-treatment do not help, it is important to make an appointment with one of our doctors right away. The sooner the better, to keep you out of pain!